Follow AEA's Community Outreach stories everyday! AEA Federal Credit Union is committed to the communities we serve and to the credit union philosophy of ‘people helping people’. For over 77 years, we have invested time, energy and money to improve the quality of life in the communities we call home. We value the work that our local non-profits, schools, and volunteer organizations are doing. AEA sponsors organizations and activities that are strongly aligned with our mission, vision, core values. To submit a request, please contact the Marketing Department at (928) 373-5408. Each month, the AEA Team selects a local non-profit organization or community project which they would like to support with volunteer hours. 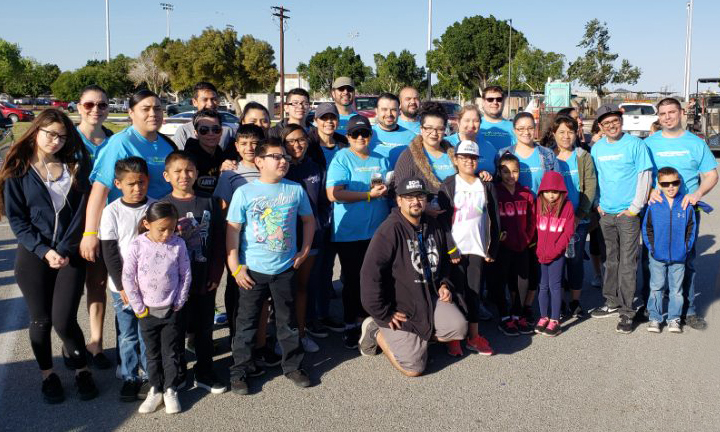 Whether we're painting, sorting food items or bathing pets, our outreach teams love working shoulder-to-shoulder with our local non-profit organizations to change lives in our communities. In 2018, AEA's outreach teams volunteered a total of over 415 hours. Through the Employee Jeans Giver Program, employees are invited to wear jeans each day for a small $5 or $10 donation from their paychecks. At the end of each quarter, the funds raised are given to a charity selected by participating Jeans Giver employees.